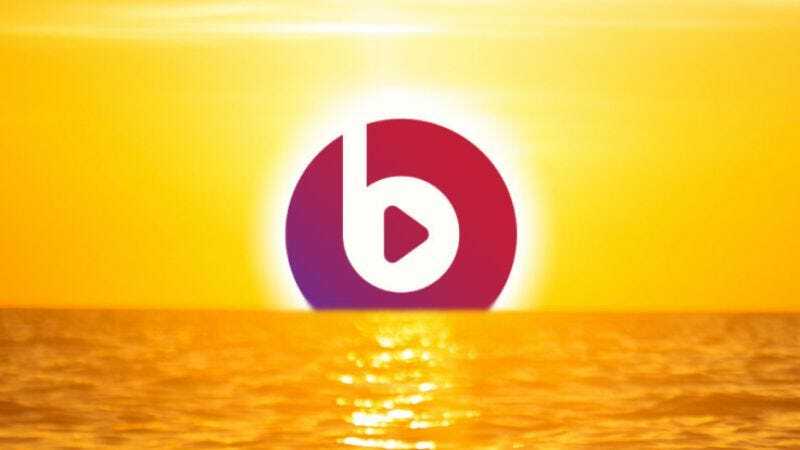 Apple may be shutting down its Beats Music service, despite having just acquired it this past May. TechCrunch is reporting the shuttering, citing “five sources, including several prominent employees at Apple and Beats,” and noting that “many engineers from Beats Music have already been moved off the product.” Apple refuted the story to tech blog Re/code, but then refused to elaborate further while also admitting that the brand may “go away,” even though it still insisted that Apple wants to stay in the streaming market. It’s unclear when—or if—Beats will shut down, or what product Apple might use in the future for streaming audio, but TechCrunch notes that Beats’ death knell really came during the iPhone 6 and Apple Watch presentation, when the company was only barely mentioned. Moreover, Beats doesn’t come preloaded on either the iPhone 6 or 6 Plus.